This program is a utility allowing you to resize & tweak the Windows 7 taskbar. Windows 7 Taskbar Thumbnail Customizer will allow you to customize Windows 7 taskbar thumbnail previews in detail. You can change the size of the thumbnail, its spacing, top, bottom, left, right margins, and mouse delay time too. Vispa is an open-source software that easily allows its user to tweak Windows Vista to disable all communication with Microsoft servers, increasing privacy and security, as well as improving the general performance. XP Smoker Standard is a program to tweak your Windows Registry settings to improve your system’s performance. 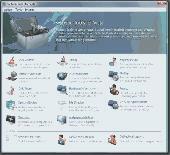 7 Taskbar Tweaker is a free program that enables you to tweak your Windows 7 taskbar. . Enhance your computers performance with Delones System Tweak Suite. This system-boosting solution tackles many common problems, keeping your computer healthy and running in peak condition. An all-in-one set of powerful and neatly classified tools, settings and tweaks for Windows 7: Process Manager, Disk and Registry Cleaners, Defragmenter and other. 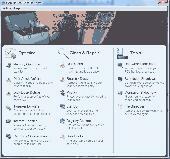 With a clean and simple interface it helps you to gain maximum from your Windows 7.